Барааны дугаар Байхгүй. Categories: Exams, EXPRESS PUBLISHING. 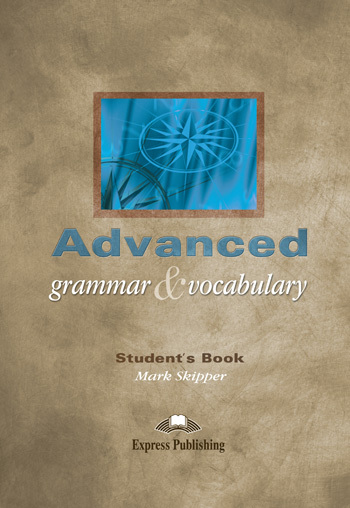 Advanced Grammar & Vocabulary is a comprehensive Use of English manual for students preparing for the Cambridge CAE and Proficiency in English or any other EFL examination at a similar level. It combines clear and functional presentation of grammar and vocabulary issues with a huge variety of challenging and stimulating exercises. Its unique item-by-item approach makes it ideal supplementary classroom material, and its simplicity of design makes it an invaluable tool for self-study. Advanced Grammar & Vocabulary takes a holistic teaching approach, using listening, reading and detailed notes to help learners master all the skills needed at this level. Grammar sections, explaining and analysing advanced grammatical areas such as modal verbs, inversion, gerunds and infinitives, emphatic structures, etc.